As the Nuggets return to the NBA playoffs for the first time since 2013, Nikola Jokic has helped lead the way. The following article is from the March issue of Mile High Sports Magazine. 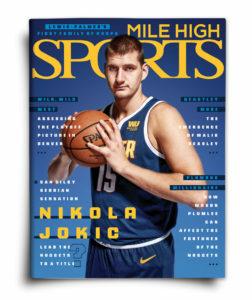 When looking back in time, it is absolutely incredible how far the Denver Nuggets organization has come in just over five years – and Nikola Jokic has been the catalyst for their ascension. At the conclusion of the 2012-13 season, Denver won a franchise-best 57 regular season games, George Karl won Coach of the Year and Masai Ujiri won Executive of the Year. 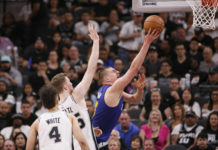 It seemed as if the Nuggets were going to continue to grow and improve until the rug was yanked from beneath them after a first-round playoff exit at the hands of the earliest rendition of the now dynastic Golden State Warriors. Suddenly, Karl’s contract dispute became unmanageable and he was on his way out of Denver. Then Ujiri received an offer from the Toronto Raptors – the team that originally gave him his start in the NBA – which he simply could not refuse. For as fast as Denver had rebuilt their team in the wake of the Carmelo Anthony trade, it fell apart just as rapidly. The Nuggets were suddenly without direction, without continuity, and staring at a full-scale rebuild. That is when Josh Kroenke, the Nuggets controlling owner, brought on Tim Connelly to re-tool the organization. 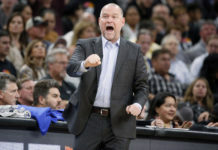 After a couple extremely rough seasons under Brian Shaw and his coaching staff, prior to the hiring of Michael Malone, the Nuggets organization had hit rock bottom. Then, on June 26, 2014, the Nuggets franchise took their first step towards becoming the team they are today. And that first step came when they drafted Jokic with the 41st pick in the NBA Draft. At the time, no one really knew what kind of talent that Jokic had. If anyone asks president of basketball operations Tim Connelly, general manager Arturas Karnisovas, or any other members of the Nuggets front office, they will all tell you that they got lucky when it came to drafting Jokic. While it was apparent that he had skill, not a soul would have expected him to produce from the center position in ways that only Wilt Chamberlain has. With the benefit of retrospect, it’s nearly comical that Jokic – an unathletic, out of shape, and carefree center with no real defensive upside – has become such a dominant force in the NBA. Just turning 24-years-old, Jokic already has the second-most triple-doubles by a center in NBA history, trailing only Chamberlain, and has the most triple-doubles by a foreign-born player in the history of the NBA. Jokic has now become one of the premier centers in all of basketball, if not the best center in the game. If asked, Jokic’s teammate Isaiah Thomas will claim that there is not another big man as good as Jokic already is. This is not the first time that Jokic was hailed as one of the best players in the league. Jokic’s contributions have become so impactful that it led to Nuggets head coach Michael Malone to compare Jokic to another player that Malone coached earlier in his career – LeBron James. “What I think they have in common is both of those guys have a tremendously high IQ, a great skill set, but most importantly they believe in playing the right way.” Malone explained. Malone was not the only person to compare Jokic to James. On the same day, Nuggets backup point guard Monte Morris also made the same comparison. While it may seem absolutely insane to compare Jokic to arguably the greatest basketball player of all time, their commonalities are eerily similar. Both are transcendent passers, both are unselfish to a fault, both are virtually unguardable as scorers, and both players have the innate gift of making every player around them better. Still, even as Jokic is showered in heaps and heaps of praise, there were specific hurdles that Jokic needed to overcome if the Nuggets were to return to the playoffs. The toughest hurdle for Jokic was going to be his growth as a leader, specifically as a vocal leader. 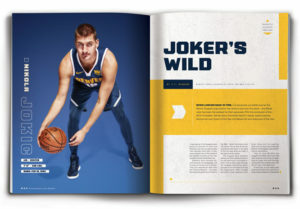 It is tough for almost anyone to step into the role of leading one of the 30 best basketball teams in the world, but for Jokic, it was particularly difficult. Jokic is not confrontational, assertive, or intense – which meant that getting after guys who may not be playing the way they should be was going to be more difficult for him. Additionally, English is not his first language so finding the correct ways to get his point across is more difficult than it would be for his English-speaking counterparts. Jokic would much rather make jokes with his teammates than scold them. 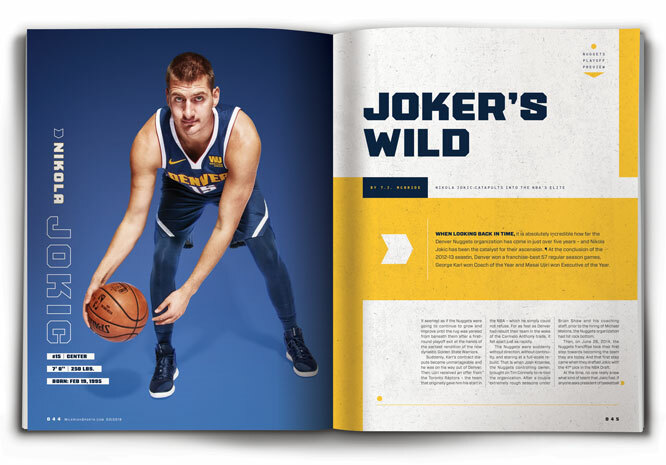 Despite many obstacles standing in his way, Jokic has taken drastic steps forward as he continues to grow as a leader. In addition to his need to grow as a leader, Jokic also needs to learn when to take the game into his hands and carry the Nuggets to wins. Jokic has grown immensely in that regard and much of his improvement has to do with his teammates encouraging him to do so. Morris connected with Jokic on a game-winning pick and roll against Sacramento in February, too. Now, Jokic has proven to himself, and anyone watching, that he is one of the best clutch players in the entire NBA. In the last five minutes of a game within five points or less, Jokic has an offensive rating of 110.6 and an incredible defensive rating of 89.5. That gives him a net rating of plus-21.1 in clutch situations – one of the best marks in the NBA. Hindsight being 20/20, it is easy to say that Jokic should have been one of the top picks of the 2014 NBA draft, but very few teams would have even taken a chance on him with one of their draft picks. Now, it is the Nuggets front office that’s laughing as they watch Jokic throw full-court touchdown passes with more touch and accuracy than any quarterback on Denver Broncos roster. Now, the final test remains in front of Jokic and his Nuggets squad. After five years of missing out on postseason basketball, including two consecutive years of missing the playoffs by a single game, the Nuggets are primed and ready to make their way back to the postseason. This team is angry about being omitted from the playoff picture so narrowly over the past two years. Now, there is a different sense of urgency within this Nuggets team and that is embodied by Jokic. 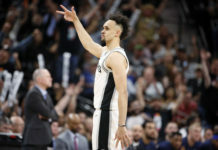 “You see it with teams, and you’ve seen it with some great NBA players throughout history – it is that pain and that disappointment that drives guys,” Malone said. “That gives them a motivation, a hunger, a passion to come back and not find themselves in that same situation again. 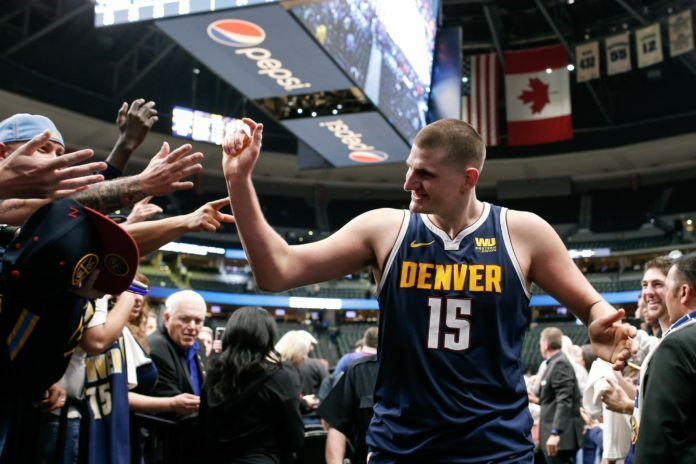 With their Serbian Stallion leading the charge, the Nuggets have grown from a 33-win team back in 2015-16 – Jokic’s rookie year – into a team on pace to win over 50 games in just under four years. Simply stated, the Nuggets would not be anywhere near their current trajectory without Jokic. That is why he was awarded a near-max contract worth up to $148 million over five years. Jokic has given Denver an identity, a top-10 player and a leader. “That is what he does. They are paying him the big bucks for that, you know what I am saying? That is what he is supposed to do,” Gary Harris said. “He has definitely really stepped up as more of a leader. I have definitely seen that while being out.